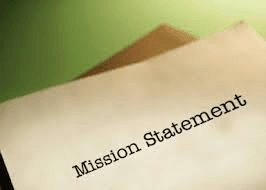 For many years I have had a mission statement that underpins everything I have and remains true to who I am than ever before. This mission is to maximise the life opportunities and experiences of everyone, specifically people with significant impairments. I believe that before of opportunities I fought for as a child, including going to a mainstream school long before it was normal to do so, I have gained some amazing life opportunities and experiences, which anyone, disabled or not, can be very proud about. I would like others for have not had so far the same opportunities as myself as have some, if not all, of the experiences and opportunities I have, as even my difficult experiences has been critical to learning and development as a person that has always competed in a mainstream environment. I feel sometimes the only barrier many disabled people face to increasing their experiences and opportunities is their own fears and attitudes, and this is why personal development and touch life remain a critical part of my strategy. So this is why I do what I do and I believe it is helpful for everyone to know what their mission is life is. ← I have broken a nail!